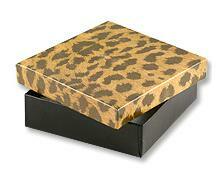 Our newest addition to the cotton filled jewelry box, and paper bag collection is the trendy leopard! The cotton filled boxes come in 7 different sizes and the paper bags come in 4 different sizes. 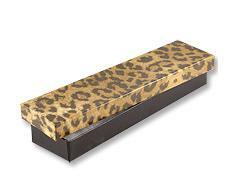 If you’re looking for a stylish and economical way to package your accessories, our new leopard print will be sure to bring fun and fashion to your business with minimal cost. 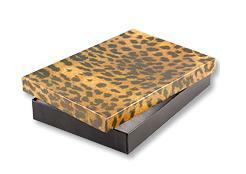 * Jewelry box #21 leopard is not shown. Matching paper bags are the perfect way to finish off the packaging of all of the season’s best accessories. 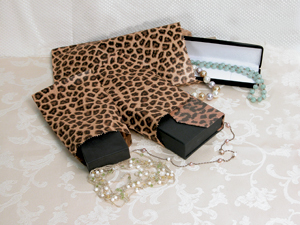 Leopard print paper bags are available in sizes 4×6, 5×7, 6×9, and 8.5×11. 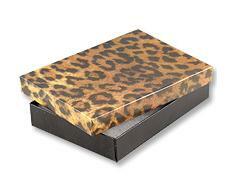 * Glossy Black Jewelry Boxes are also available. 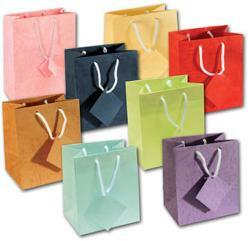 Our Assorted Shopping Totes are the perfect compliment to our Flower Bow TieÂ Jewelry Boxes and Hat Boxes. Each case comes assorted with 8 different colors: yellow, navy blue, orange, lime green, sky blue, pink, lavender, and red. 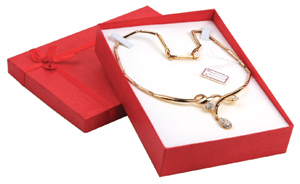 The Assorted Shopping Totes come in 5 different sizes to fit a variety of different jewelry box sizes. 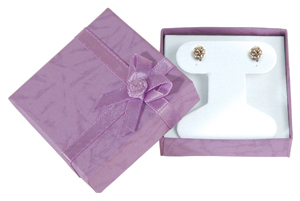 Flower Bow Tie Jewelry Boxes series features linen textured paper boxes, flower bow ties, and flocked foam inserts. 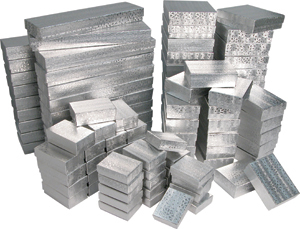 This series comes in 7 different sizes to fit all of your packaging needs. 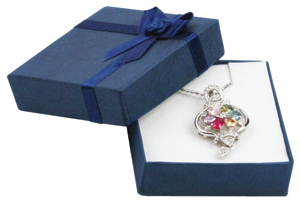 The Flower Bow Tie Hat Box collection is packed with a random assortment of 48 colors and shapes. 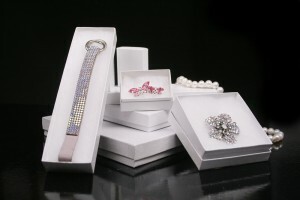 Next week we will be adding the assorted cotton filled boxes to this collection for all of our customers looking for a more cost effective option! More information coming soon! With the holidays just around the corner, many retailers like to give a little extra to their customers to show how much they appreciate their business. 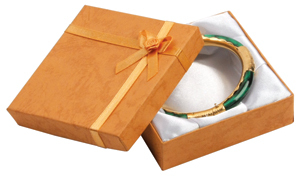 Cotton filled boxes are a popular item used all year around, but for those retailers who wish to offer them during holiday purchases, they are the perfect added touch to any accessory. 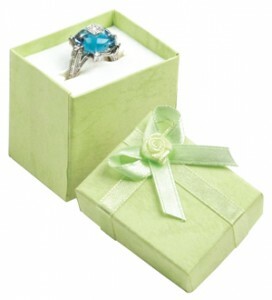 Cotton filled jewelry boxes are economical options for any retailer. 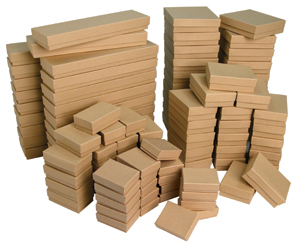 We also offer an eco-friendly option with our recycled kraft boxes. 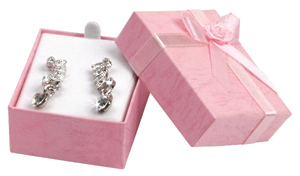 White Swirl cotton filled boxes are great for fashion accessories all year around. 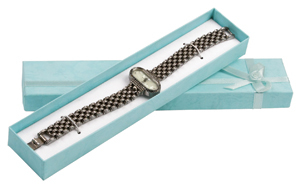 The crisp white color, and delicate swirl texture makes the White Swirl line one of the most popular. 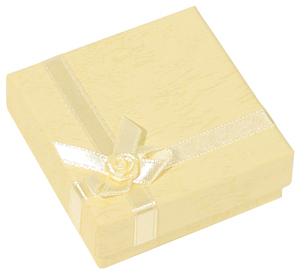 The Gold and Silver Foil cotton filled boxes are great for fine jewelry, and for holiday merchandise.Â The metallic colors, and the elegant foil texture compliment all jewelry pieces. 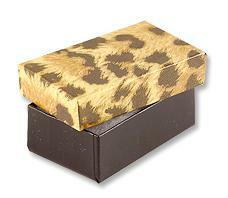 The recycled Kraft cotton filled boxes are great for going green. 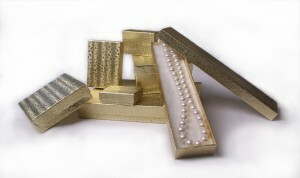 Retailers love the natural kraft color with all of their colorful bead and stone jewelry. 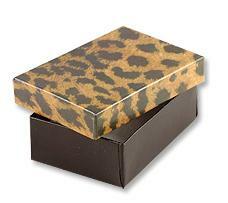 For the fun and trendy retailers, the Zebra print cotton filled boxes are always a big hit. 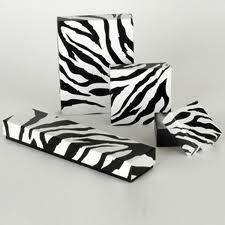 For those who love black and white, the Zebra print will always brighten up your day! Black and white zebras are fun, but if you just like black, we have that too! The Black Glossy cotton filled box presents a sleek reflective exterior, making it perfect for not only women’s accessories, but men’s accessories as well.